In pursuit of the best steak in London we were told about a special menu available only at the World’s End Market on King Road. Intrigued we made some enquiries – was this the real deal? With a reservation and a guarantee for a great meal we wouldn’t forget, team Elysium ventured into London. The World’s End Market is an innovative culinary concept that genuinely believes in healthy, fresh and flavoursome food. 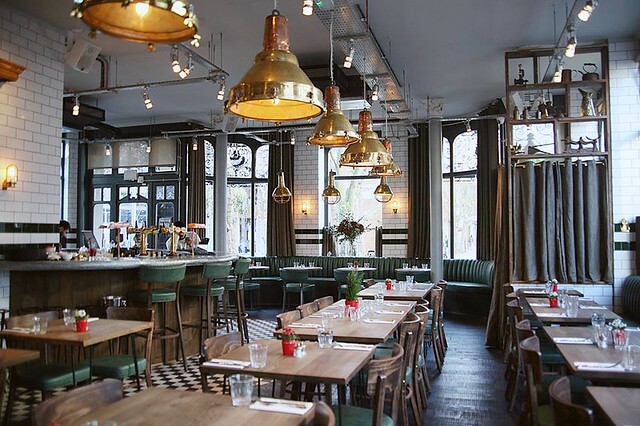 This bustling eatery is located an iconic Grade 2 listed building which formerly housed the World’s End Pub, with welcoming interiors flooded with natural light and design features that give the space a charming 1930’s canteen aesthetic. The restaurant’s vibrant atmosphere is enhanced further by renowned street artist, Ninth Seal, whose exclusive artworks hang throughout the venue. The restaurant has even integrated reclaimed materials from the Harry Potter Hogwarts set, such as an impressive intricate wooden door frame casing the restaurant’s extensive wine selection. Chuleta De Buey (Premium Ox Bone-in Rib Eye Steak) and Solomillo de Buey (Premium Ox Fillet Steak) were our suggestions of choice. Unlike the usual steak chains of choice, no display fillets on a board – this is what José Gordón wanted you to try. That was enough for us to tuck in. 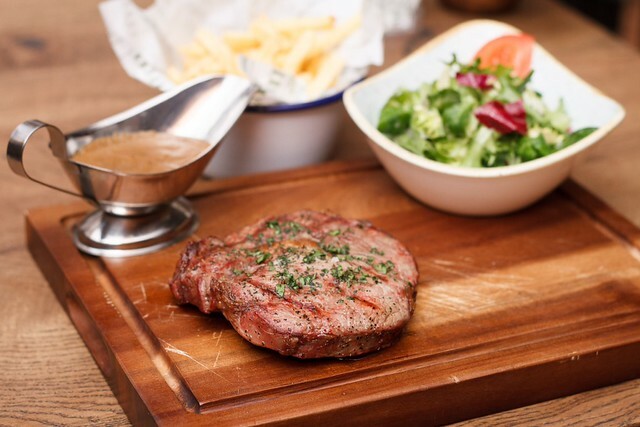 The steaks, at 200g, were decent portions and given a little fanfare with the food coming to the table the expectations were high and the chef delivered. Great, succulent pieces of meat with hearty sides to ensure 100% satisfaction. Our sources were spot on – we need not look elsewhere for the best steak in town; The World’s End Market is now our destination of choice. Despite the filling main, a few more cocktails in, we decided to finalise our menu with dessert. The popular Hazelnut & Caramel Cheesecake absolutely nailed the evening (and menu) a good size portion to ensure the evening finished on a high. The World’s End Market is a great place to come with a loved one, in a group or with family and kids. In a bustling part of London it is easy to find and has a distinct charm that welcomes you to what is genuinely a friendly and welcoming restaurant. The food is brilliant and is, surprisingly, very reasonably priced. If you enjoy your food, are looking for a restaurant with great service and a variety of drinks, look no further then The World’s End Market.